1. Acupuncturist, Chinese Herbalist, Medical Massage Therapists trained at a top 5 TCM University in China. We have National Board Certified (NCCAOM) and WFAS Certified Acupuncturists, Licensed Chinese Herbalist(China)and NCCTMB Certified Massage Therapists. Our Acupuncturist, Medical massage therapist go back to China to update new technics and maintain our advanced technology at least once a year. Acupuncture and Chinese medical massage originally come from China. China has the world's best Traditional Chinese Medicine universities and experts. China is an international leader in the research of natural therapies. Our acupuncturist and Chinese herbalist received their training from Chengdu University of Traditional Chinese Medicine P.R. China. (Top 5 TCM University in China.) Chengdu University of TCM is known world wide for excellence and thorough training and testing, Our Acupuncturist graduated with honors in the top 1% of the program’s students.Our Acupuncturists, Medical massage therapists go back to China to update new technics and maintain our advanced technology more than once a year. We are a full service Traditional Chinese Medicine clinic, certified to offer acupuncture, Chinese medical massage, cupping, guasha (scraping), and Chinese herbal medicine. 2. Supervised by a medical doctor, department chair of family medicine. western medical exam combined with oriental medicine and natural therapy provide the best benefits for our patients. Charlotte Yang, MD is the medical supervisor for the Acupuncture & Massage Center.She is department chair of family medicine of mclaren bay region, She is an experienced Board Certified Family Physician. She is a Healthgrades recognized doctor, and was a recognized physician of The Five-Star Favorites in 2007. Under her supervision, our acupuncturists & medical massage therapists are able to combine knowledge of our patients needs to provide the best benefits and outcomes for all patients. 3. Natural Effective Therapy,Unique Chinese Medical Massage, Quick Pain Relief, Quick Symptom Relief ! NO Pills, NO Drugs, NO Side Effects! With many years training from Chengdu Traditional Chinese Medicine University, and over 20 years practice in China and in U.S, we offer unique acupuncture + medical massage treatment packages which give you quick pain and symptom relief, followed by long term relief. Our unique Chinese medical massage techniques are helping more and more patients get almost instant relief. 4. Over 20 Years of Clinical Experience,Over 10 years practice in MI, countless successful treatments, and good reputation. We graduated in 1994 from Chengdu University of Traditional Chinese Medicine P.R.China (Top 5 TCM University in China). We graduated with honors in the top 1% of the program’s students. 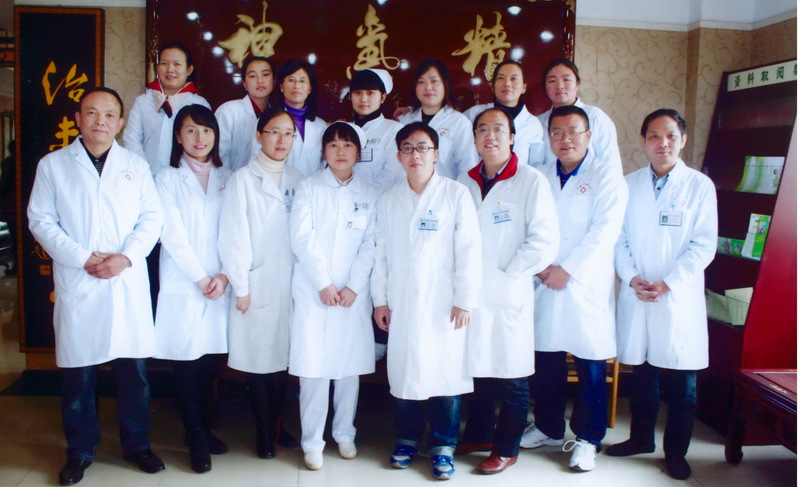 Our Professor, Li Changdu, was the Director of the Department of Acupuncture at Chengdu University Hospital of TCM. We had more than 5 years training in Traditional Chinese Medicine and Acupuncture, practiced 10 years in China. and has been working with Charlotte Yang M.D. in the United States over 10 years. Since 2005, countless patients have received successful natural therapy treatments at our clinic. So many patients get relief from all kinds of pain. Many patients get help for all kinds of body disorders. Many patient have successfully quit smoking, infertile couples have conceived, and so on…. 5. We respect every patient's privacy, Every patient have their own separate, clean room. We have very professional and friendly staff, very clean facility. Every patient have their own separate clean room. 6. Our goal is to not only treat you successfully, but also to prevent future challenges to your health. Chinese medicine philosophy believes that prevention is more important than treatment. Treatment is the last step . We do two things for our patients: 1. Help patients get symptom relief, and 2. Help patients with proper maintenance of their bodies to prevent potential future risk . The body is just like a vehicle. It needs an oil change once in a while; a good maintenance job to run more smoothly and reliably. If we do some natural positive adjustments to balance our body, then we can prevent future potential risk for our health. 7. Our professional team offers the highest standard of service at affordable rates. Although we offer a high standard of effective natural therapy, we try our best to make all our services affordable. We offer a free consultation and our service rates are currently 25% below the industry average.